Craft Academy students have sent experiments to the International Space Station, created their own textile business, presented research at regional and national conferences, and volunteered more than 3,000 service hours in our community. The Craft Academy for Excellence in Science and Mathematics is a dual-credit residential high school for academically exceptional Kentucky students. The Craft Academy's purpose is to meet the unique educational needs of academically gifted and talented high school juniors and seniors in the Commonwealth. 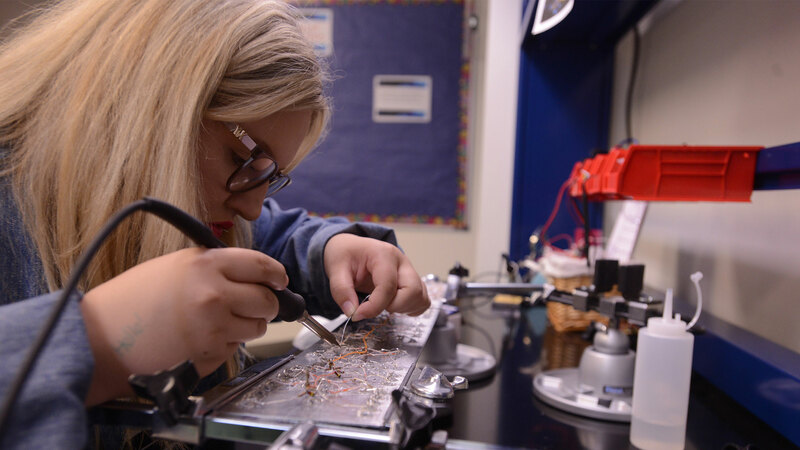 The academic rigor of the Craft Academy challenges students to excel at their highest level through project-based STEM+X courses and hands-on learning experiences, with emphasis on innovation, design and creativity, and civic and regional engagement. February 1 - Class of 2021 application closes.